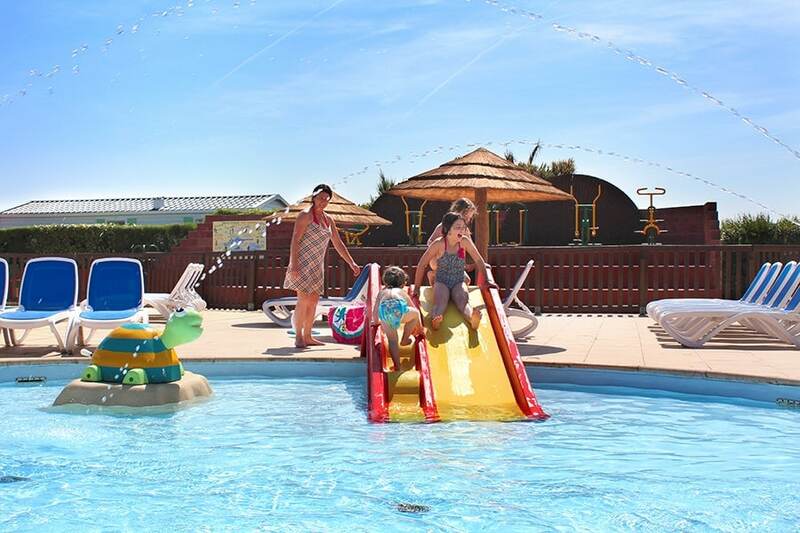 Our 5 star campsite Le Cormoran has an aquatic park with swimming-pools for all ages and all wishes. 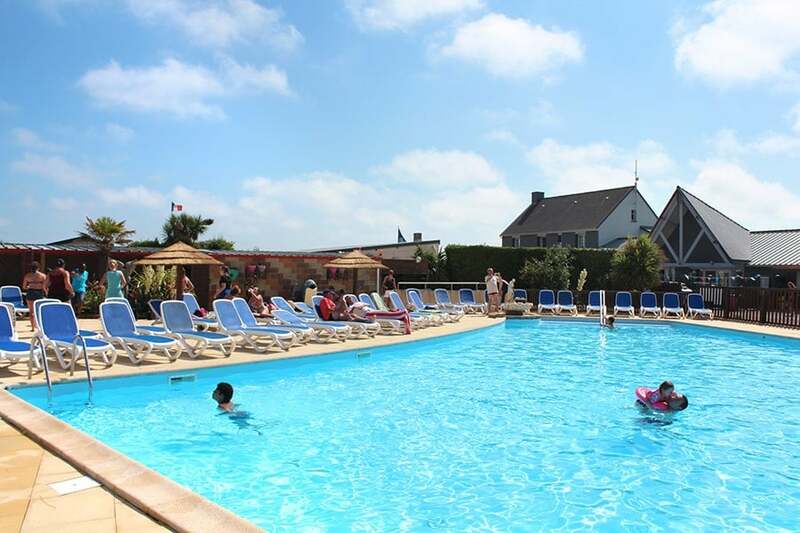 All our swimming-pools are heated for your comfort and to make you fully enjoy your holidays in Normandy. 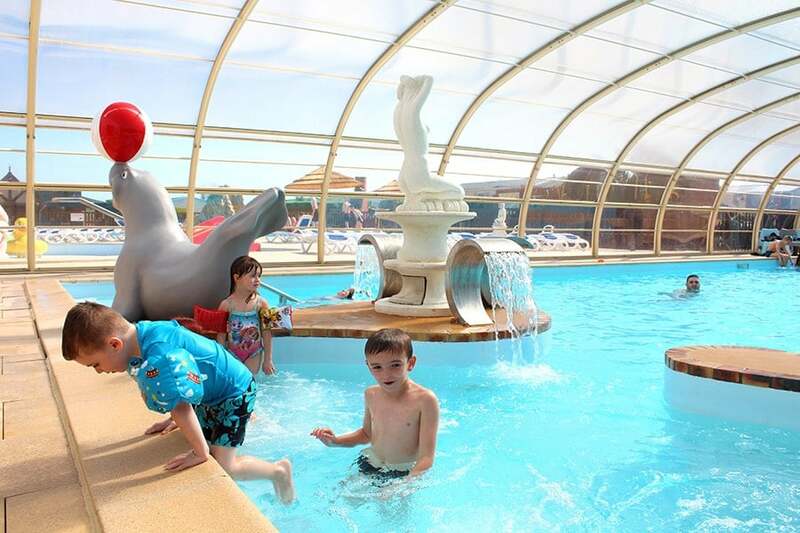 Unwind in the bubble bath, have fun with the children in the paddling pool, swim laps in the big pool or take part in the aquagym sessions in summer, you won’t miss opportunities to enjoy our warmed aquatic area. 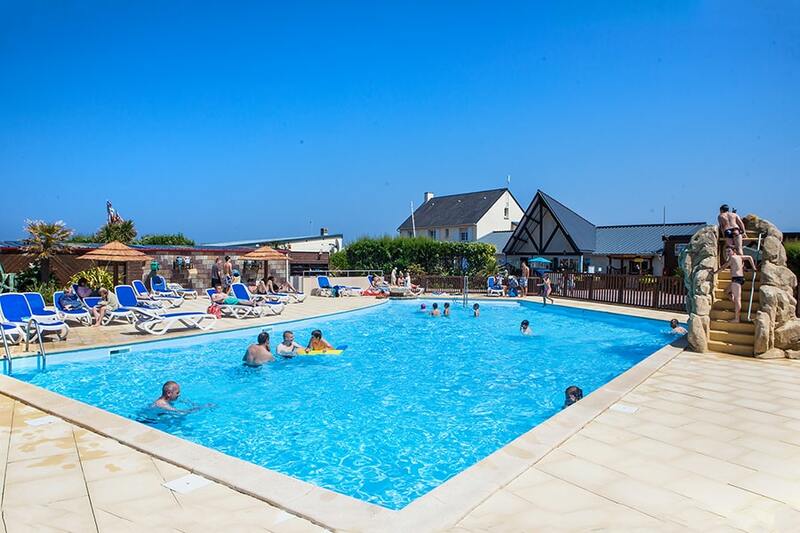 The covered swimming-pool is warmed during the whole opening period of the campsite to let you swim in Normandy in all tranquility. 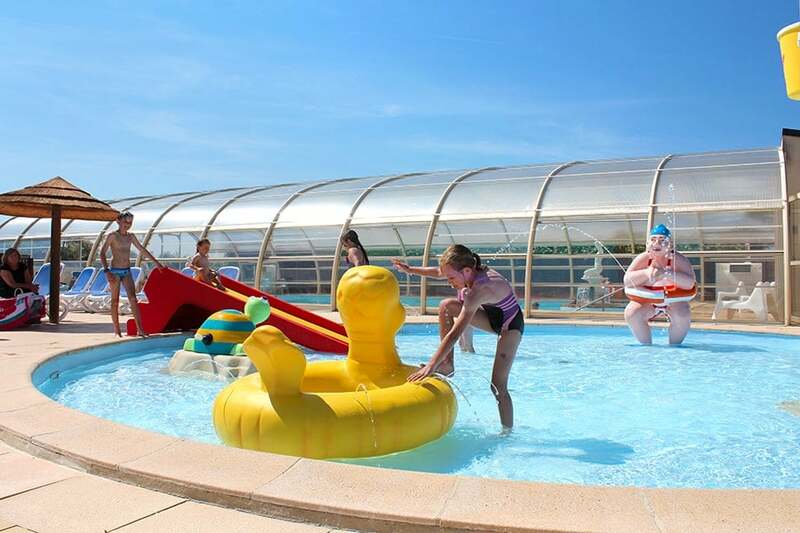 The pool offers a bubble bath where you can relax with your family and friends. 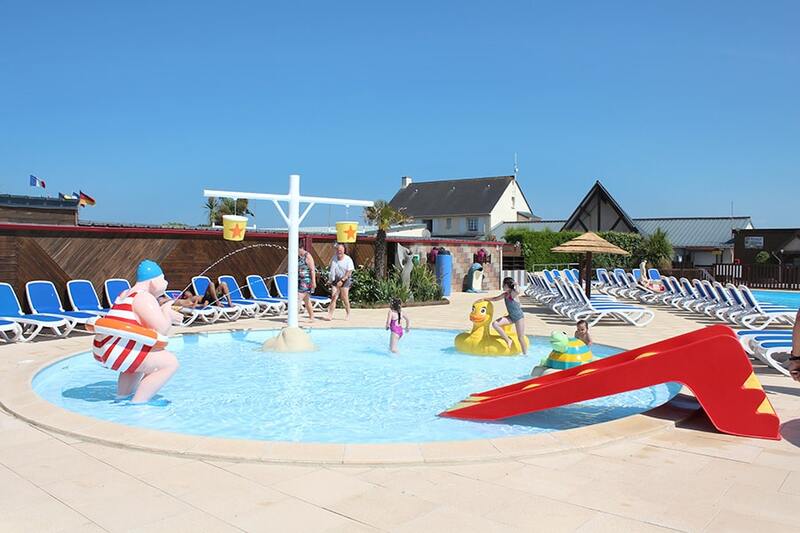 The paddling pool is integrated into the covered pool so you will fully enjoy water games with your little ones. 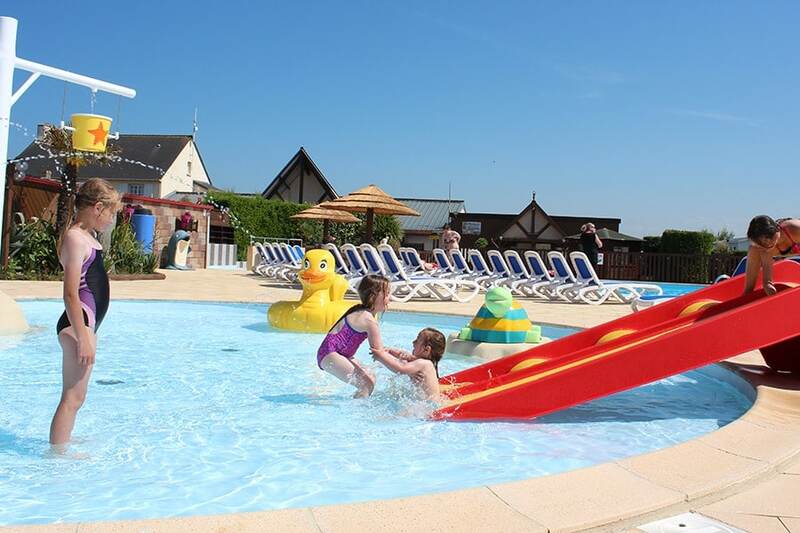 The paddling pool is designed to let young children have fun in complete safety in a space adapted to them. 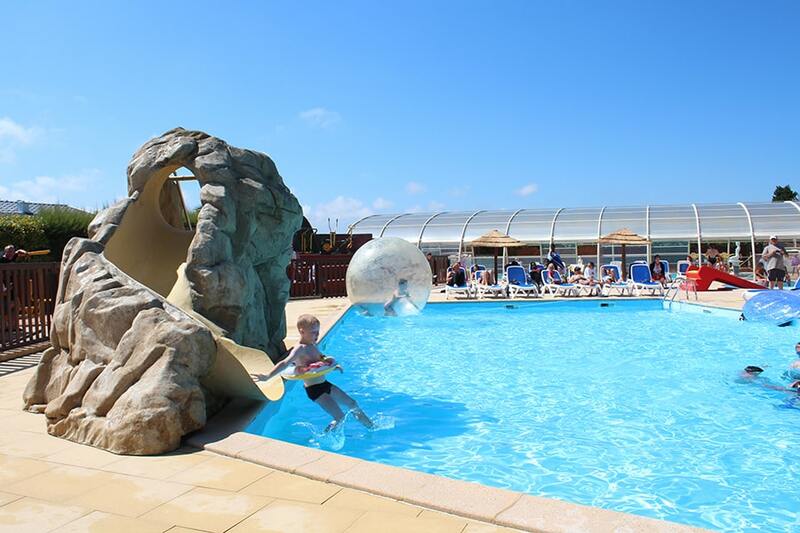 Aquatic games are here for their great pleasure: duck and turtle water jet, waterfall buckets and and small slide. 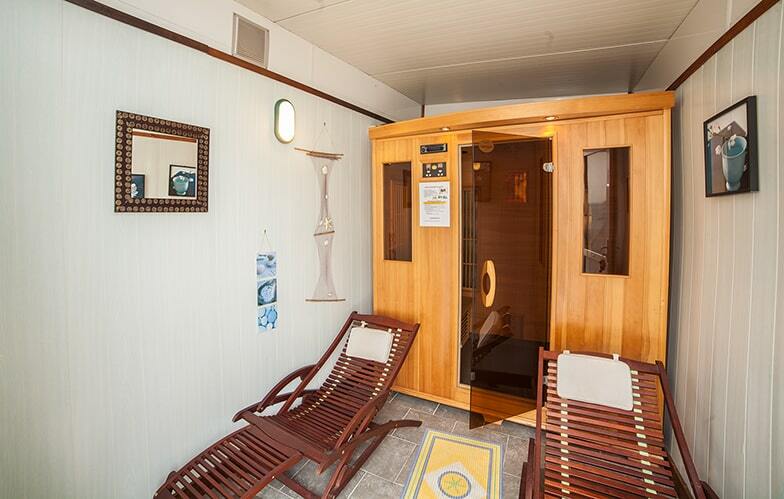 Take a moment in our cosy sauna and immerse yourself in a relaxing warmth. With a soft music, enjoy this area specially equipped for the wellness of your body and your spirit. The infrared sauna diffuses a dry and pleasant warmth. 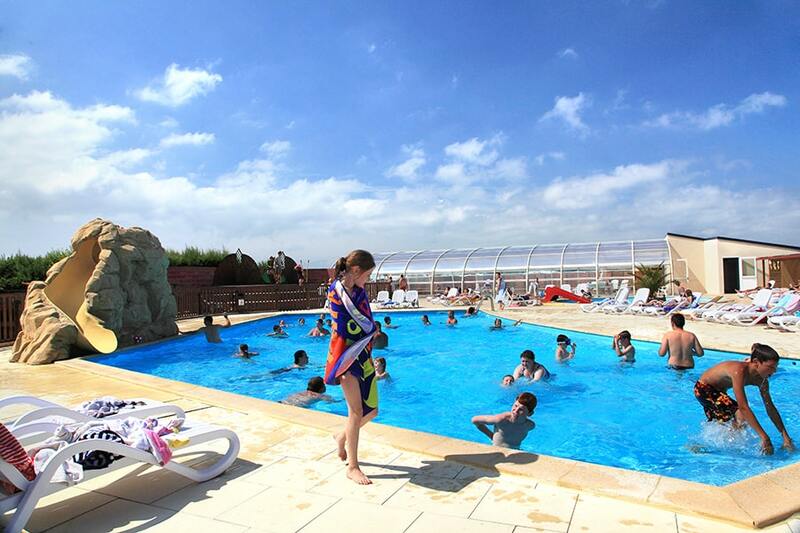 Access to our swimming-pools is free of charge and open from 9 am to 8 pm. 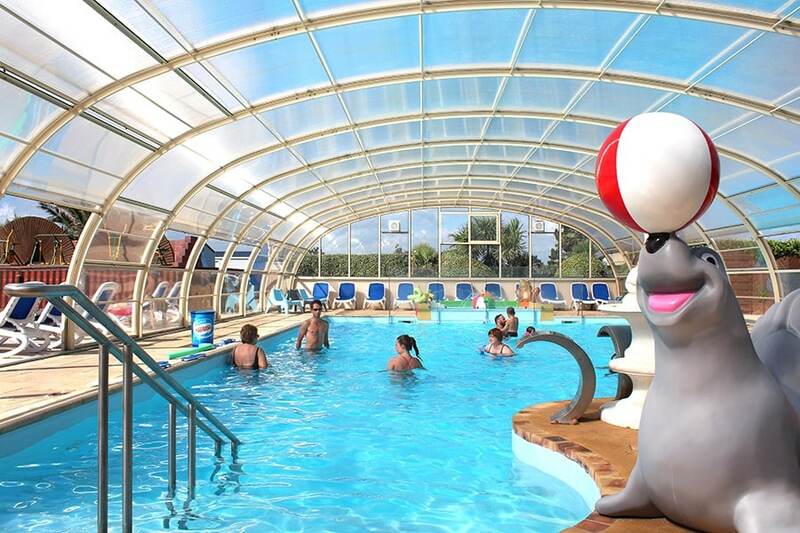 The indoor pool is available from opening to closing day of the campsite. 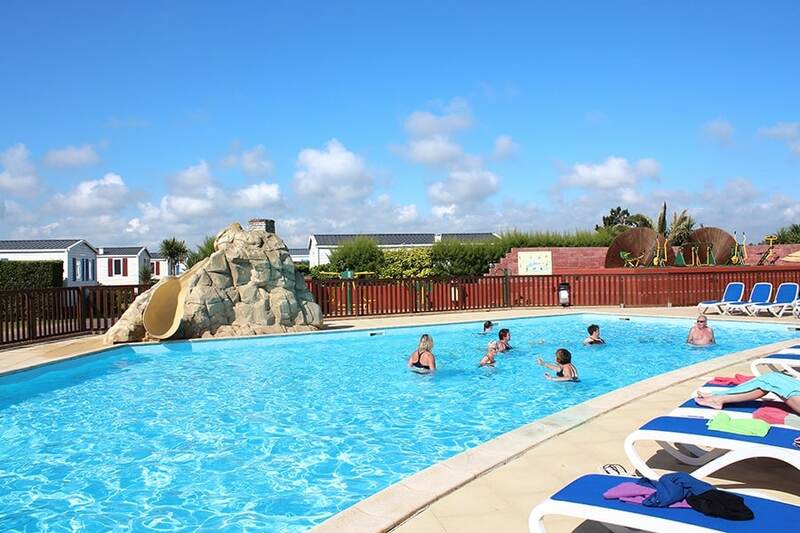 The outdoor pools are open only in July and August. Swimming is not supervised (children are under the responsibility of the parents). 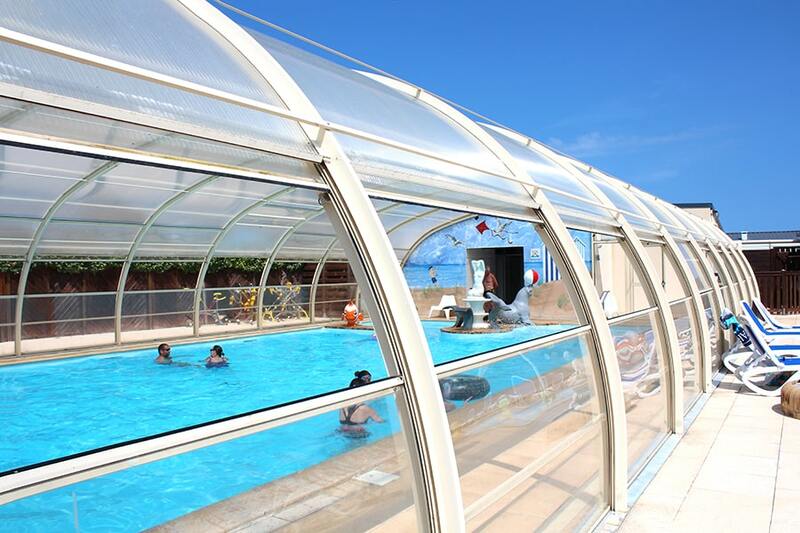 You can find heated changing rooms and sanitary at the entrance of the covered pool for your well-being. Sun baths and sunshades are available at the edge of the indoor and outdoor pools to sunbathe and relax in the sun. 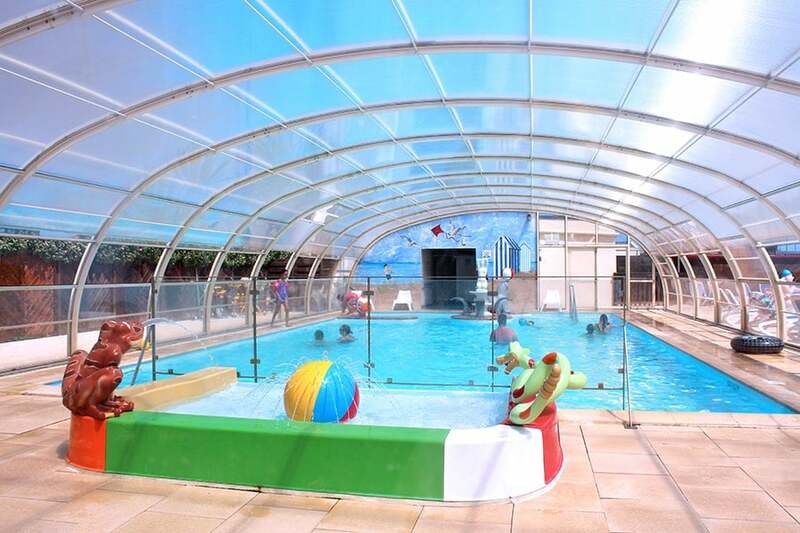 Swimming-pools are accessible for disabled people. We provide them with a special chair to help taking a dip in the pools. You just have to ask it at the reception. During high-season, aquagym sessions are planned to tones your body in good spirit and friendliness. An excellent way to start the day. 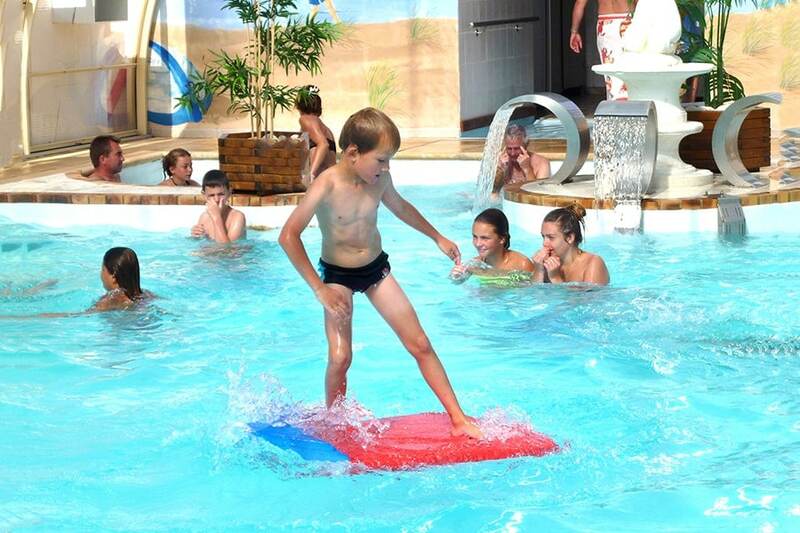 Guided by our animator, your children will take part in the aquatic game sessions and enjoy water pleasures with their new friends. During Aquabubble session, enter into a bubble and try to keep your balance while walking on water. Laughter guaranteed !  Experiment cardiobiking, an original sport activity organized in high-season in the aquatic area of the campsite (cycle a bike placed in water on motivational music) and hone your physical skills during the fitness sessions.